Minister of State for Law PP Chaudhary on Friday told the Rajya Sabha that the major reasons for referring back 43 recommendees to the Supreme Court Collegium on the appointment of Judges are views of consultee Judges, views of Constitutional Authorities, adverse Intelligence Bureau (IB) inputs, serious nature of complaints received against recommendees etc. (d) by when the final decision on the list received from the Collegium would be taken? Filling of vacancies of Judges in the Supreme Court and High Courts is a continuous and collaborative process of the Judiciary and Executive. 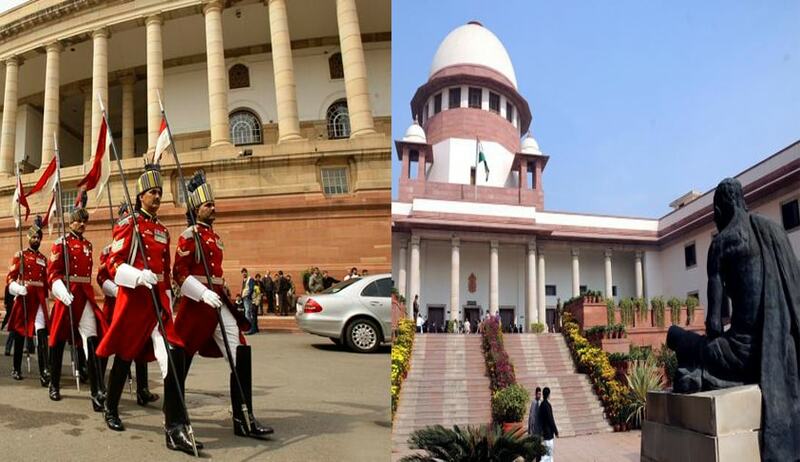 As the process of finalisation of the revised Memorandum of Procedure (MoP) for appointment of Judges to Supreme Court and High courts was likely to take some time, on the initiative of the Government of India the matter was taken up with the Supreme Court and the process of appointment of Judges has been resumed, pending finalization of the revised MoP. During the current year, as on 21.11.2016, 124 Additional Judges have been made permanent and 120 fresh appointments of Judges have been made in the High Courts. On 18th November, Chief Justice TS Thakur told Attorney General Mukul Rohatgi that the collegium had reiterated the names of all 43 judges for the High Courts, whose candidature were sent back for reconsideration to the collegium by the Centre two weeks before. “We (collegium) met last recently and we are reiterating all the names. The appointment may be made,” Chief Justice Thakur told Rohatgi. Earlier, the Centre refused to appoint 43 of 77 names recommended by the Collegium for appointment as HC Judges. Two weeks after being slammed for attempting of trying to bring the judiciary to a grinding halt by delaying appointment of judges, the Centre, on November 11, told the CJI-led bench that 34 judges were appointed to the High Courts. Appearing for the Centre, Attorney General Mukul Rohatgi said out of 77 names recommended by collegium, 43 names were sent back for reconsideration. After the AG submitted a list regarding the appointments, CJI Thakur had perused it and said the collegium would meet on November 15 and a detailed order would be passed later in open court. It is to be noted that Rohatgi had, on October 28, sought one more chance to “come up with something positive” on judges’ appointments, defusing the volatile situation and preventing the summoning of the top officials of the PMO and justice ministry. “Please do not issue notice now. Kindly post it after vacations by then some positive steps would have been taken,” Rohatgi had assured after which the CJI softened down a bit. “In Allahabad, out of a sanctioned strength of 165, there are only 77 judges. In Karnataka High Court, an entire floor of courts is locked because there are no judges. Once we had a situation where we had judges, but no courtrooms. But now there are courtrooms but no judges. You may now as well close court rooms down and lock justice out. You can have the institution called the judiciary locked,” an angry CJI had told Rohatgi, who represented the Centre, while hearing a PIL filed by 1971 war veteran Lieutenant Colonel Anil Kabotra and lawyer Ashwini Upadhyay on the issue.